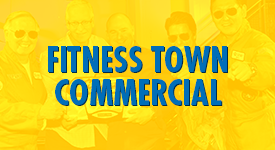 At Fitness Town, our goal is to provide top notch, personalized, expert fitness advice and service. It's our people who make the difference. 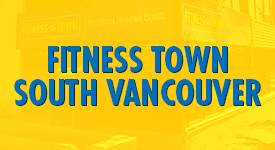 Select your Fitness Town store location to find out more about our fitness experts! 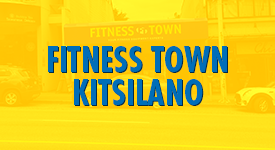 Well it’s been just over a year or so since we had the treadmill we purchased from Fitness Town in Langley, BC. It has worked perfectly no issues whatsoever. Arlen recommended the AFG 5.1 treadmill and I am glad he did, I have lost 25 pounds over the past year and have so much more energy. The customer service support and follow up is top notch. We are very fortunate to have someone look after our needs the way Arlen has. Brilliantly Done. Thanks. I want to thank you and your Burnaby staff from the bottom of my heart for your products AND help. My experience picking up the product was lovely - everyone was SO kind, enthusiastic about fitness and really just all around approachable, nice people. After all was said and done, I was helped out to my car and felt really cared about. It's not just a plug - I believe in what you guys do. 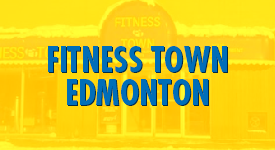 When I have used fitness town before, this has always been my experience as well. I'd been having trouble with getting an Armaid (for physio). It was the second time I came in to the Marine location, thinking it was there, but it turns out I had called the wrong location. Lorne offered to bring me an Armaid from the Burnaby location and bring it the next day. Then he made another call and learned that they probably had one in storage (they have 5 huge storage rooms, apparently). He ended up finding it, and saved me another trip out here. Cameron, I wanted to thank you for all your assistance from my original purchase on my gym equipment. I would not have given my business if it was not for your detailed insight to what would work best for me resulting in my purchases with your store. I wanted to thank you for your ongoing support over the past couple years whether the purchase is large or small you've always taken the time and given me great advice and its always a pleasure to give my return business to your store. Many thanks for all your insight and support. I purchased a rowing machine many years ago from "Fitness Town", after much use the main part inexplicably broke. I contacted FT and they looked in to the parts needed and work required and gave me a quote to which I agreed. Subsequently after talking to the manufacturer FT found out that the parts+work could be done for a lower price which they passed on to me. The combination of the honesty in dealing with me plus the quality of the repair is why I am happy to give FT five stars! My machine is awesome! Setup was really quick and no issues. I was actually away when they arrived, so my oldest daughter was home to let them in. Apparently they were in and out within 15-20 mins, which is great. I have been using my machine for over a month now, and feeling damn good! I exercise 6 out of 8 days. I have shared my great experience in dealing with your team with everyone that is willing to listen to me! Thanks again. 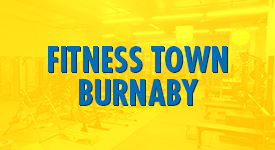 My wife Judith McLean and myself came to Fitness Town, Langley in 2010. Jamie ascertained our fitness needs and guided us through various equipment and exercise options until we settled on the Octane Q37 ci. 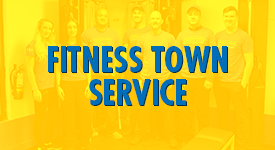 After purchase and excellent installation we have had great service from Fitness Town. Jamie was a thorough professional and advised on the options and warranties. 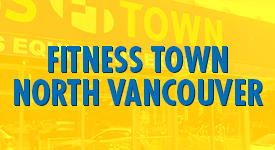 We recommend Fitness Town to all our friends and relatives. 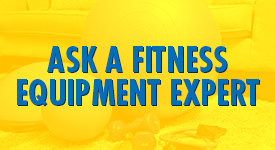 When building a home gym recently, I went around to a number of different businesses to check out the equipment and prices. 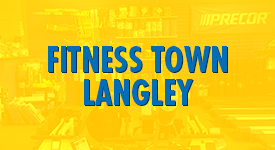 I finally decided on Fitness Town Langley and I have been happy with the entire process. Arlen and Jordyn have been extremely helpful and were generous with discounts because of the volume I was buying. The quality of their equipment is incredible and everything is solidly built. On top of that, they did not try to oversell me and so when I asked about things that I probably didn't need, they told me so. The staff is very knowledgeable. We recently were in the market for a treadmill. Joe helped us out and really listened to what we were looking for. He did not push us into any treadmill in particular but directed us towards one that would meet our needs. He was extremely pleasant to deal with and really seemed to know all the products and features unique to each one. When I go back for more equipment I will certainly return and speak to Joe. I highly recommend him! Fantastic customer service and very knowledgeable staff. I bought a very reasonably priced bike, however before I could have it delivered I unfortunately had to return it for a refund. The refund was processed without hesitation and with excellent service. 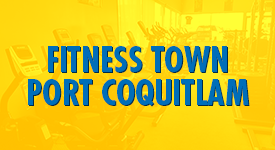 The next time I'm in the market for fitness equipment I won't hesitate to shop here. Like many others, I just had a great experience at FT, mainly due to Geoff. Super knowledgeable and could easily have taken my money for something I did not need. He steered me in the right direction, gave me technical info and background, told me what other stores were likely to have something better suited for my requirement. He also most likely found the reason why I'm struggling with double unders... 10/10, will recommend to everyone.